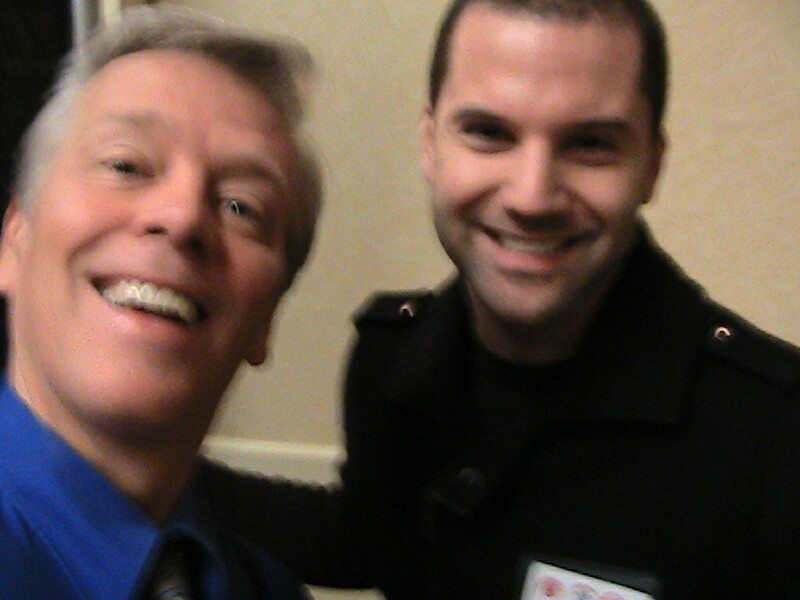 The Society of American Magicians in Boston have a wonderful annual convention called SAMCON. This two day event brought 150 magicians from across New England together for fun laughs and lectures on improving their magic shows. I was honored to be a featured lecturer as well as one of four performers in the evening gala show. The evening show had a hilarious performance by Scott Alexander a featured performer on the TV program, America’s Got Talent. He did his fantastic and funny swallowing razor blades trick as well as his other amazing tricks as seen on TV. Wonderful performer was Lemar, a cruise ship magician and international performer who brings clever prop comedy and crazy comical illusions that had the house laughing. 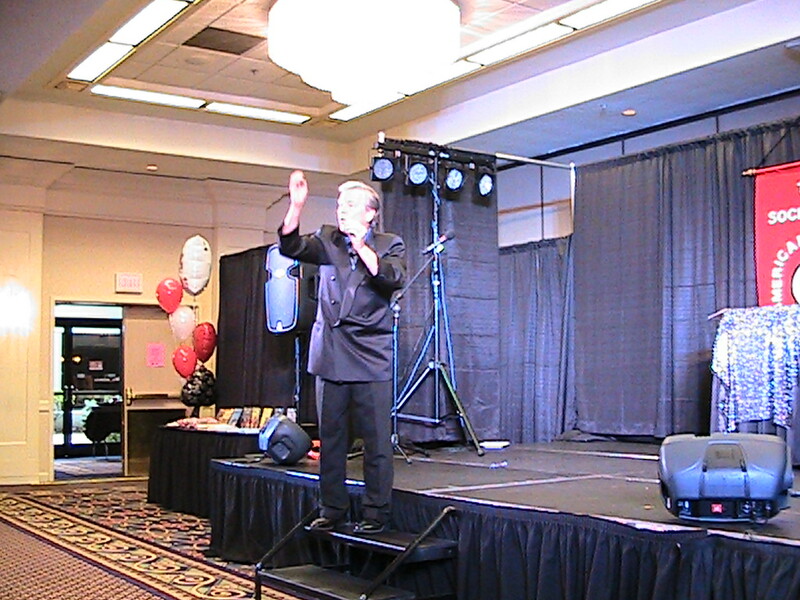 Lemar the Great cruise ship magician performing in Boston. I enjoyed a very good reaction from the crowd with a performance of the Amazing Normondo the Great. This is the comedy act that I presented when I won the America’s Funniest Magician contest in Las Vegas a few years ago. I love to hear the laughter and it is a blast to perform for my peers. The SAMCON magic convention was well run by a team of dedicated professionals headed up by Evan and Doug. It is evident that these fellows have a real love of the wonderful art of magic and they strive for excellence as they produce this memorable and fun convention. Thank you gentlemen! Also special thanks to my backstage guy and the great sound and light crew. Thanks to Mike on the sound board. Bring amazing comedy and magic to your next event. Check out more information on Magicians in Minneapolis at MagicNorm.com. Norm teaching his inventions and comedy techniques to other entertainers at SAMCON magic convention in Boston. The busy MN Vikings took some time out of their schedules to visit the kids at the U. of M. Hospital and the kids were excited to see them. 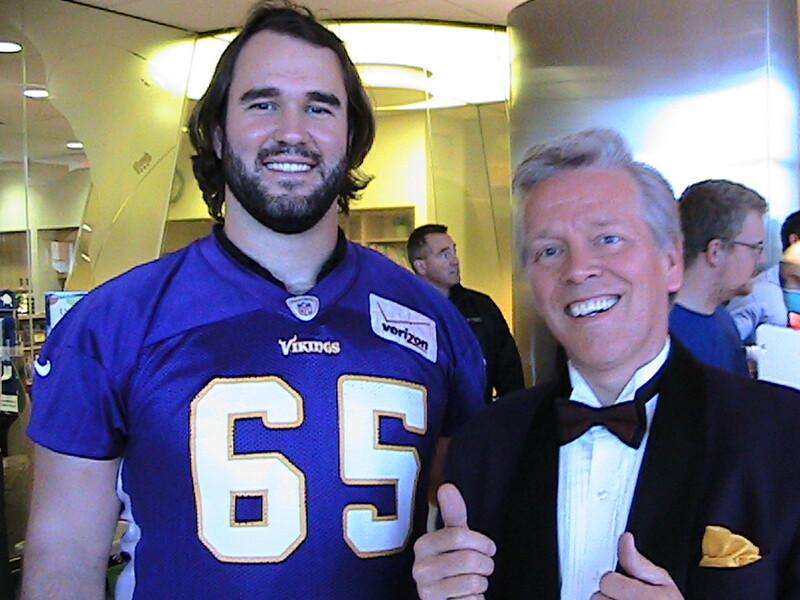 John Sullivan on the Vikings team since 2008. 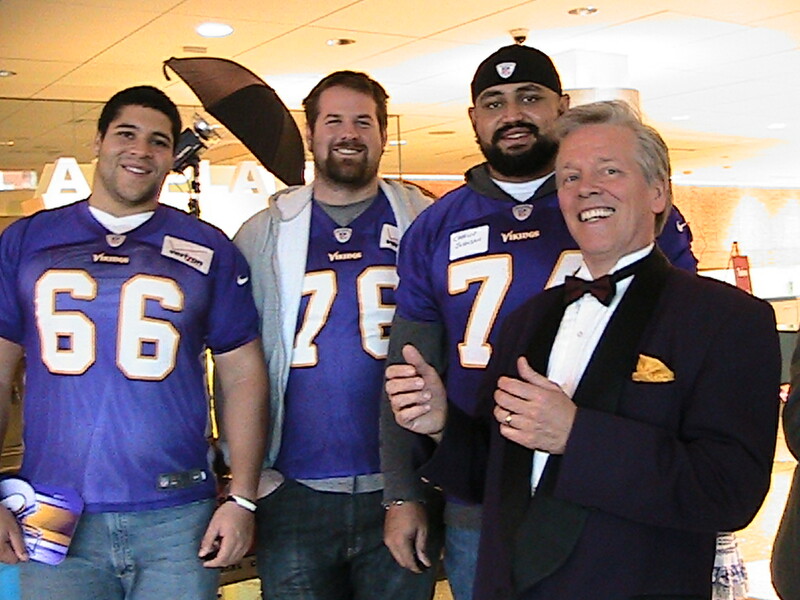 Tyler Holmes, Geoff Scwartz, and Charlie Johnson with MagicNorm after visiting with the children. Magic is fun for all types of events. It adds life to the party at corporate events and family functions. 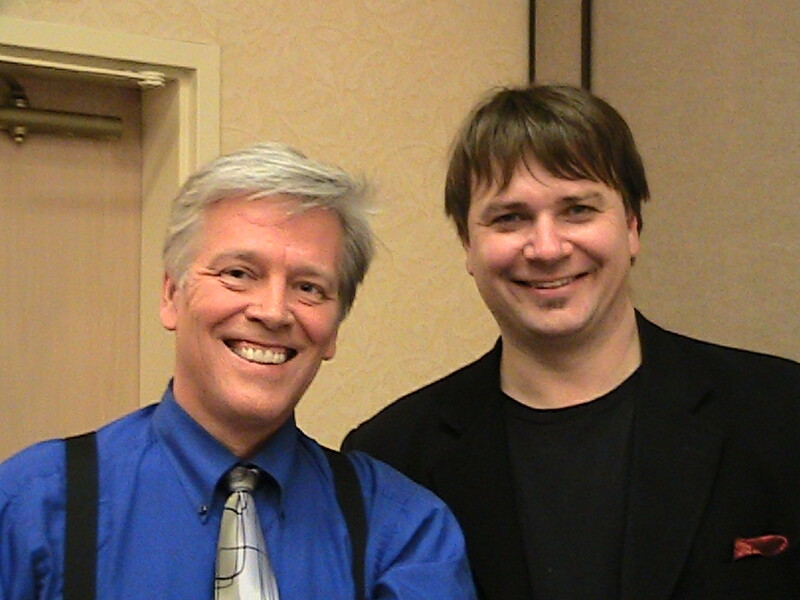 For more information about this comedy magician in Minnesota see the site below. Have a great day and go Vikes!